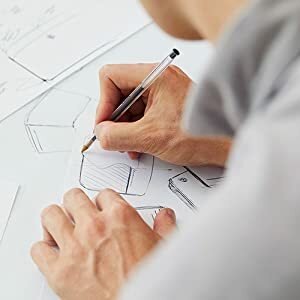 I'm a big fan of Bellroy products, simply because I like their eye for design when it comes to normal everyday products. 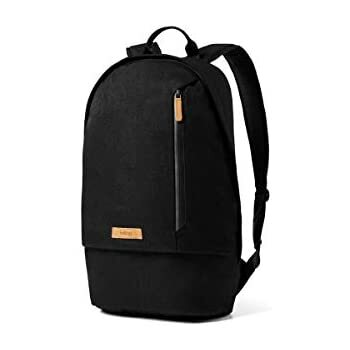 My black leather Bellroy wallet has been great over the past couple of years, so when they announced that they were designing backpacks, I was very excited. 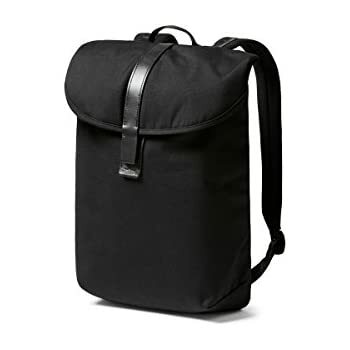 I needed something for my smaller frame (Male, 5'7, 145 lbs) that I could reliably use to travel with and even hike with if needed. I bought this pack, along with two others in order to find the best one for my needs. 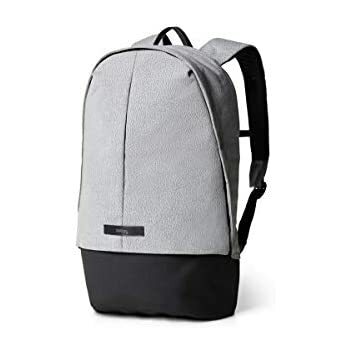 Unfortunately, this pack is too big for my liking, but it's still a great backpack that I would wholeheartedly recommend if you want a modern backpack that screams quality. Each had some pros and cons, but for this review I'll focus specifically on the Bellroy. - Excellent design, looks sleeker and more minimalist than the traditional backpack fit and form. They also seem to have thought of everything, down to little bits that hold the loose parts of the strap back so they aren't hanging. - Soft, supple inside. Lots of pockets that are intuitively placed. I don't think anything would get scratched in the pack, including sunglasses. - Half-zip design, some might not like this but I think it's great so you don't spill stuff out of the pack on accident. - Smooth zippers, plus material that covers the zipper. - Size. If I were 6' tall, this would be perfect. For a smaller guy like me, it's just too bulky. My wife, who is about 5'1, also tried on the pack and it drowned her. If you're a bigger/taller guy/girl, this is probably going to fit you perfectly. Otherwise, you should try one of their smaller options, but I personally don't like the design of the smaller packs they offer. - Price. 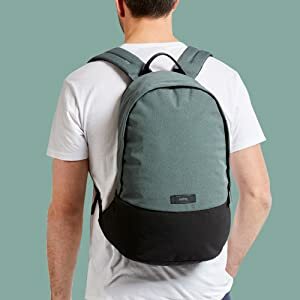 This is not a cheap backpack (like other Bellroy products) but I feel like you're going to love it if you're an average-sized person. 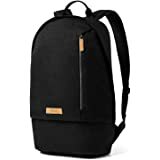 This is like the perfect college backpack, but most college students probably aren't going to be able to afford this. - Strap placement feels a bit wonky, but I can't figure out why. The GORUCK echo had perfect straps, they fit on the shoulders wonderfully. The Bellroy was still comfortable, but I feel like the straps start too close together at the top. I wanted to keep this pack, I really did. However, like usual, it's just a bit too big for me and my body. 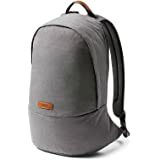 This is a great urban pack that you can take anywhere as a commuter or a student, but I would probably tell you to avoid it if you're looking for something more rugged. 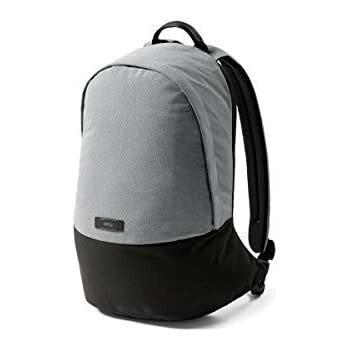 I probably wouldn't want to get this backpack anywhere near dirt, because it's a little too nice for that (and I don't think it would wear well in the elements). As you can see in the photos, the Bellroy is a longer pack, and hangs too low on me to be comfortable when walking long distances. However, the pack itself was quite comfortable and soft. The second photo is the Echo, which is a better fit for people with shorter torsos. I ended up keeping the GORUCK Echo due to the size and the comfort, and the fact that I see it lasting a lot longer than the other two packs. 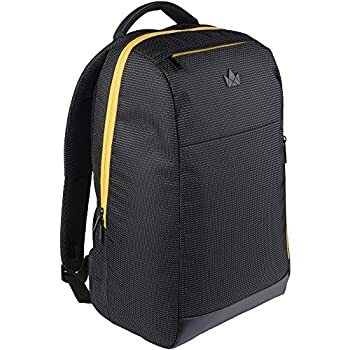 Still though, I think this is a great backpack. 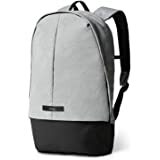 I bought the grey/black combo, 17 litres backpack. - To start with, the zipper on the top was a bit hard to pull. The estimation of effort one assumes to apply to pull the zipper was way harder. 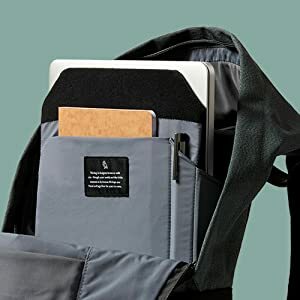 - The inner pocket for iPad, along with the laptop pocket was impressive as the iPad snuggles just fine and you don't worry about it moving too much when you are walking with your bag. - The zip handle of the inner mesh pocket came out when pulled. It wasn't properly latched. Manufacturing defect, I guess. - The material is quite flimsy. 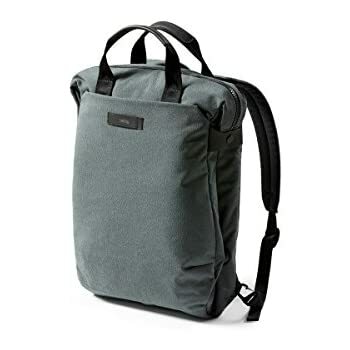 In the picture, the bag looks like having a perfect shape, but in reality, unless you stuff a lot of stuff inside, the front-bottom of the bag drops down and shows a crease (unlike the pictures on the website) and it gives quite a cheap look. 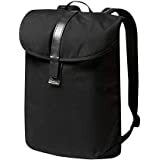 - When I enclosed the 15 inch Mac Pro in the bag and opened the top zip pocket on the front of the bag, the edges of the Mac Pro were protruding from the mesh pocket. For sure, I can't keep my sunglasses there. They are surely going to get damaged. I won't even try to put my iPhone as the edges of the laptop might damage the screen of the phone, as there is no cushion at all. 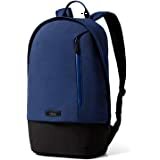 - Overall, cheap bag with $140 sticker price. In my opinion, not worth at all. There are better bags available in the market. I wasn't hoping such quality from Bellroy. Waste of time in ordering the product, opening the package and returning it. The bag looks good. I especially like the accents with leather-like material throughout. It's really difficult to open the bag. The zippers on the quick-access pocket and the main compartment are too difficult to open. 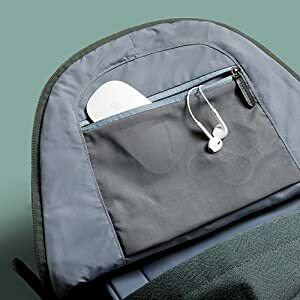 The zippers themselves are big and of good quality, but they're buried deep in unnecessary flaps that they're difficult to get to. Quick-access pocket cannot be opened with just one hand. And, to open the main compartment, you'll have to change where your other hand is holding multiple times to open the compartment fully. And since there is no extra front pocket, you'll face this difficulty whenever you want to get anything from the bag. I also tried the Bellroy Classic Backpack Plus, and it had the same problem. I simply do not think that it's worth $140. 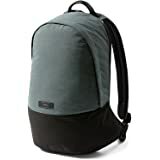 I'd choose something like Aer Day Pack from their Work collection or one from Hex, or even a higher-end pack from Herschel, because I think they're easier to use for daily carry and cheaper. 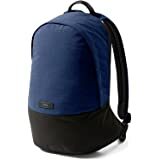 I really love this backpack, it has just enough pockets, just big enough for me to use for everyday carry. 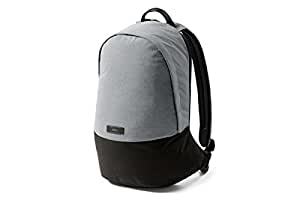 I have taking this bag on the plane, to my son's wrestling tournaments, and track tournaments, it works great to carry all my cables and other things that I need. I am a big fan of Belroy's products begin with, this is yet another product from them that I love. 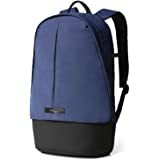 If you carry a lot of things I would recommend going with the bigger pack. I have a tablet, Chromebook, charging cables and sometimes a Nintendo switch. It holds that stuff with no problem. 5つ星のうち5.0Very attractive, and built to last. This is the nicest looking backpack I've owned. It looks/feels very durable, and high-end all at once. I like the versatility of the design. 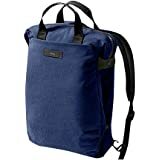 This can go with you to the office, the coffee shop, and the gym without looking out of place in either environment. This has become my new everyday use bag.